If you are from India and you like to bet on horse racing online from India, then the only safe option is RaceBets.com. They offer online markets every day from India at all the major race tracks: Hyderabad, Pune, Mysore, Delhi, Kolkatta, Mumbai. 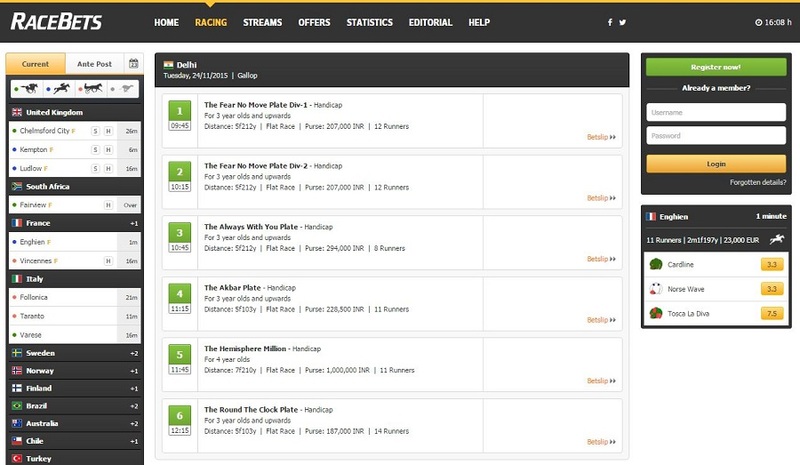 Here is the overview of Delhi races for example on RaceBets. See how simple the design is. They are dedicated entirely to horse racing so if you love horse racing, then you will love racebets. Here is an example of placing a bet on Indian races on RaceBets. Here you can see that we placed a £0.50 bet on horse number 2, Flori De Cama to win the race! The odds used are Bangalore Turf Club tote odds which are competitive. You also can get a 10% win bonus on all winning bets which makes it great value to bet with RaceBets. They give you up to £50 first deposit bonus so if you deposit £50, you get another £50 to bet on Indian races for free! They offer 10% win bonus on all Indian races so if your horse wins, you will get 10% more payout than the BTC odds! If you have trouble depositing onto online bookmakers, then the best option to use is Neteller. It is an online e-wallet. 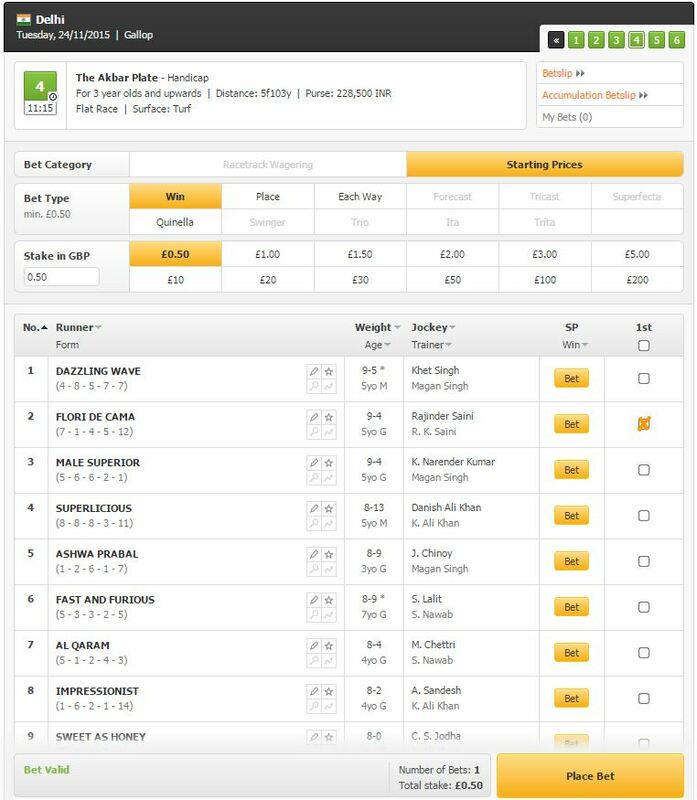 For full details on how to deposit on RaceBets using Neteller, please watch the following video.